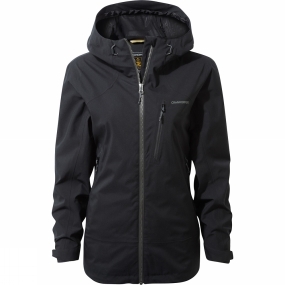 Aim high in this exciting Womens Midas Gore-Tex Jacket from Craghoppers. Engineered to deliver impressive technical performance in the field in a sleek black silhouette, DofE-approved Midas will shrug off the heaviest showers. A superb jacket that stands out from the pack.